Even though it's starting to become fall here in the northern hemisphere, I walked out of my new workplace yesterday to find the little hill next to it covered in blooming white flowers. 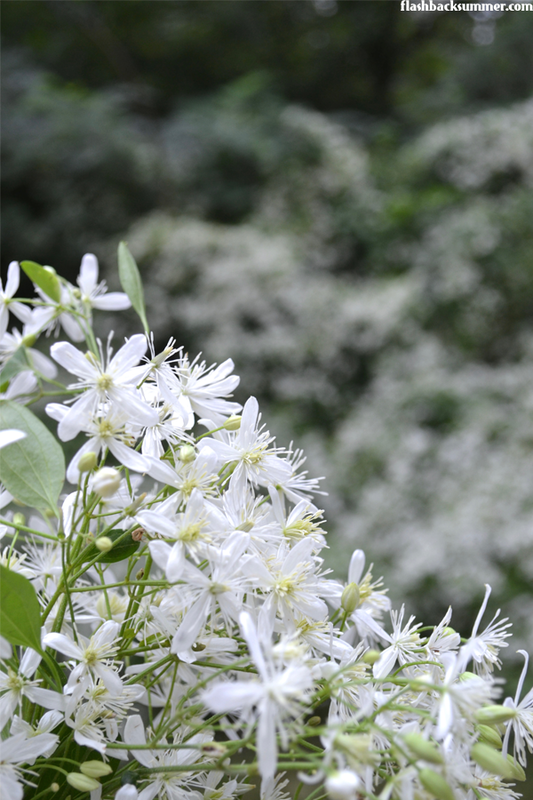 I'm not sure what they are, but they smell fantastic and look amazing. I was inspired to pull out my florals and live up the warm weather as long as I can! 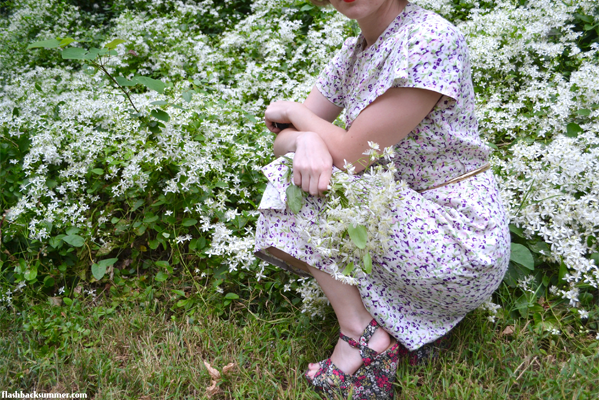 I don't own many florals, but that doesn't concern me much because I consider all of my florals to "go" with each other by nature of being florals. Even though they're not the same color, they have a similar scale of pattern and just seem to work. One of my favorite floral pieces is these 5 1/2" tall heels. I call them my "normal height" shoes, as it allows my 5 foot tall self to experience what it's like to be about the height of an average American woman! 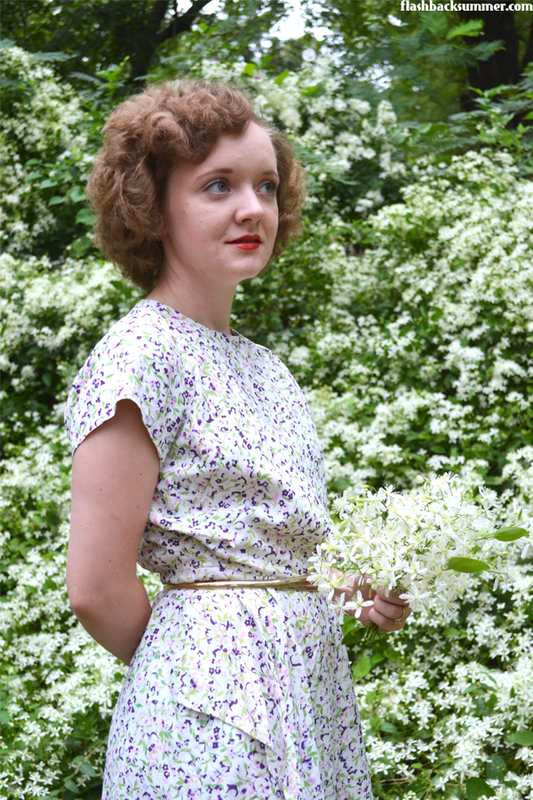 Another of my floral pieces is this lovely 1940s dress. When I found it, all the seams were coming apart and unraveling. (You can read more about the rescue process in this post.) I had to take it completely apart in the process, so I traced the pieces for a pattern while I was at it. I love the drapes and I think I'll have to make another for next spring! 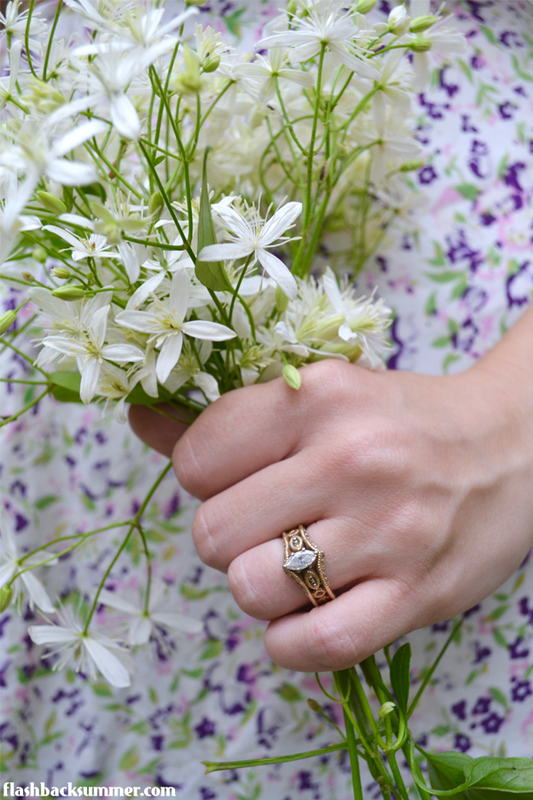 Do you have many florals in your wardrobe? What are your guidelines in mixing them with other florals or patterns and keep it all looking right? Love this dress! I absolutely live in florals. I hardly ever print mix though. It's always plain skirt with floral blouse or vice versa. I don't have any floral separates, or I'd be doing the same thing! Such a beautiful outfit and the background is perfectly coordinated! 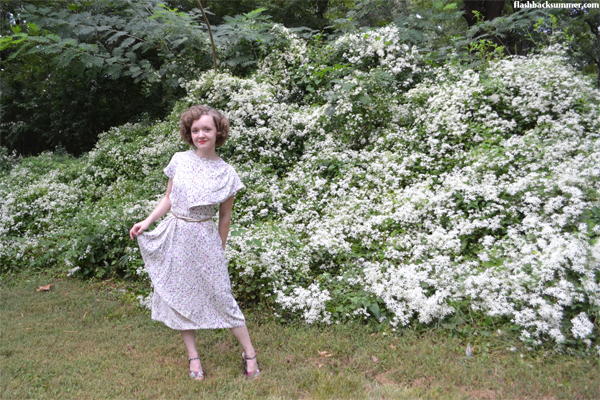 Floral theme dresses are always in no matter what season or era. The floral designs compliments any fashion sense, unlike the fashion choices from Grade miners, which lacks imagination and taste.